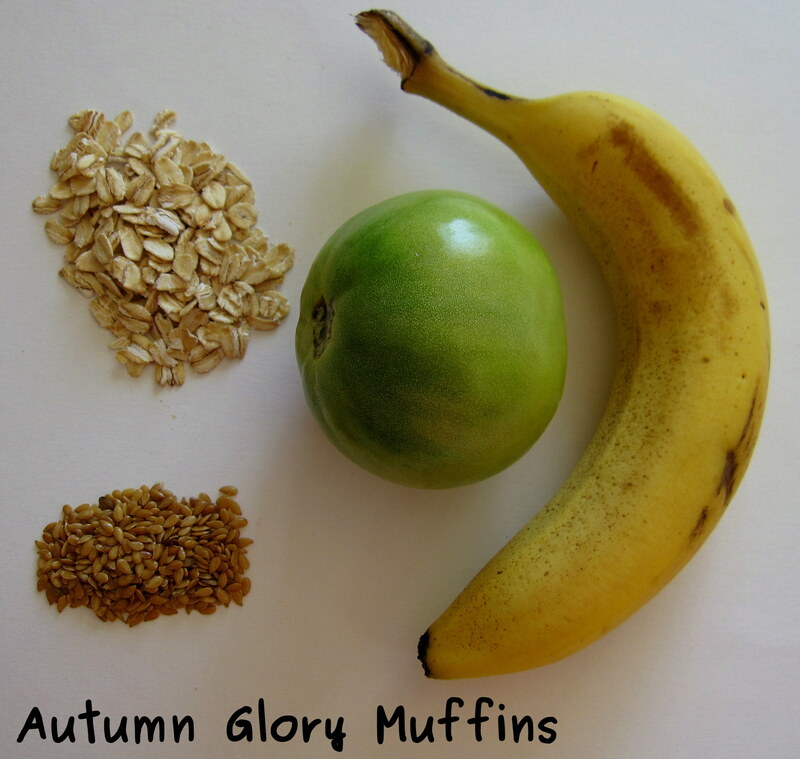 That sounds absolutely intriguing – I have never encountered the idea of using green tomatoes in a muffin before. We picked the last of our tomatoes yesterday, including lots of green ones, so I might have to give this one a try! I hope you do! 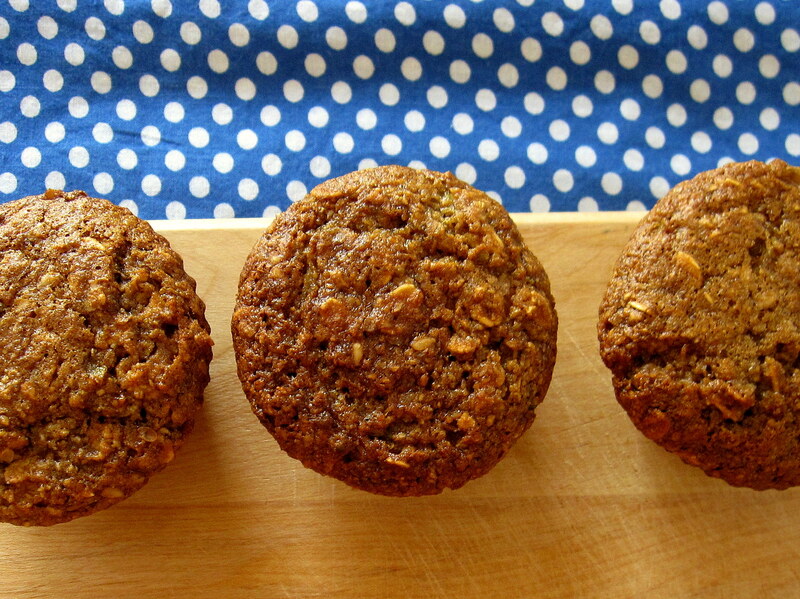 We’ve been craving these muffins again…the juicy green tomatoes made them very moist. I made these muffins again this past week but used carrots and pineapple in place of the green tomatoes (which turned red) and banana. They were different but just as tasty. Do you have any other plans for your green tomatoes? 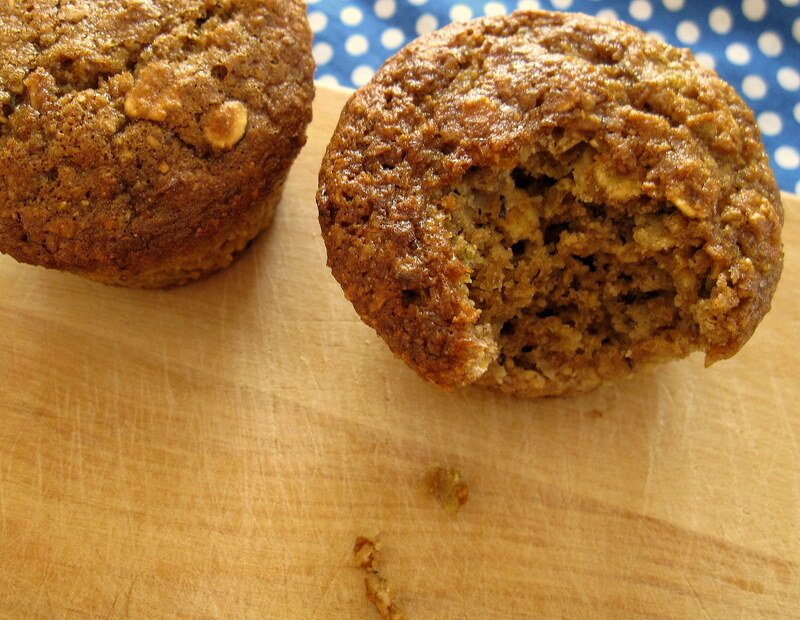 I made these tonight, with grated carrot (1 1/4 cups), unsweetened applesauce in place of mashed banana, 1/3 cups raisin (soak and drain if not plump) and 1 cup milk. Made 12 regular sized muffins plus 1 custard cup larger muffin. They are cooking now. Will let you know how they come out. My muffins look good. They rose, but are flat. Perhaps a little less liquid next time. Taste pretty good, although I did not let it cool either. Thank you for the recipe. Glad that you were able to make these muffins. I like the recipe because it seems flexible, I’ve adapted it a number of different ways. When I made them, I noticed they tasted better once cooled, but I also had a hard time waiting. :) I hope that you can make them again sometime with a different combo of fruits. The fun of cooking and baking is experimenting. :) Thanks for your comments/updates! Glad you liked them. One time I made them with chia seed instead of flax and they tasted great but looked like concrete. The recipe seems to be resilient. It is hard to wait to eat them till they are cool though. I like how you think. When you have a batter that works it is fun to try it in new ways.